By Jim Boyce | It’s time for the Bungalow-down (ha, ha!). 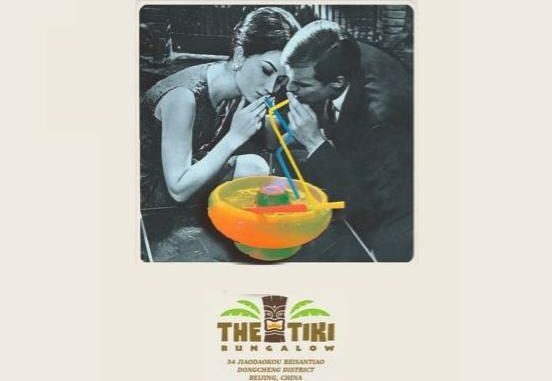 Oliver Davies shared the spring-summer Tiki Bungalow menu and it features eight newcomer and returnee drinks. Check out the white rum-based Dr Funk, the Tokyo Daiquiri with soy and ginger syrup, the Pineapple Negroni and more. 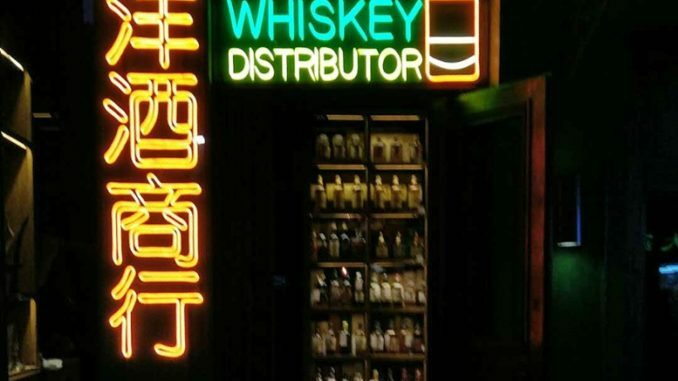 This place also offers some of the best value in town and things get even better on Mondays, when cocktails starting with “M” are rmb40 (7 PM-11 PM), and Wednesdays, with rmb40 select drinks (7 PM-11 PM). 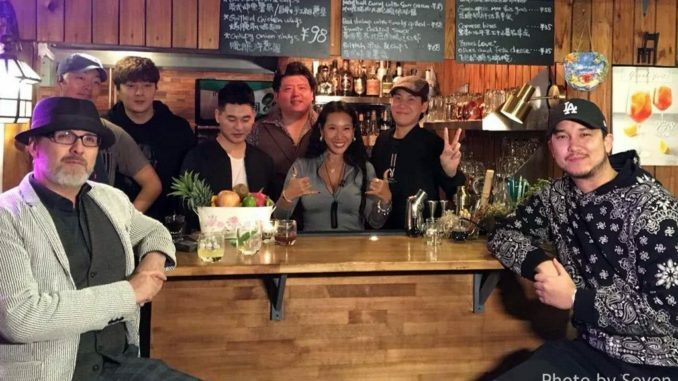 You can also check out the rmb40 happy hours on Tuesdays and Fridays through Sundays (7 PM-9 PM). 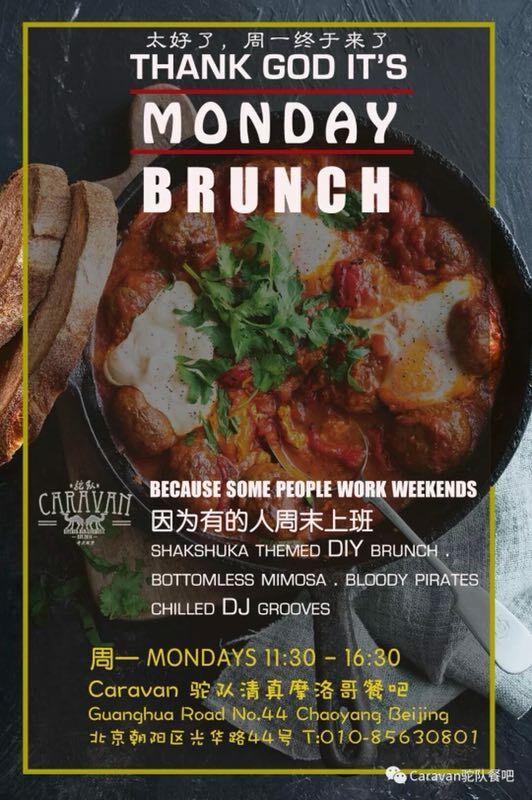 Caravan owner Badr Benjelloun has started a Monday brunch aimed at those who work weekends, including many in the food and beverage trade. Expect a shakshuka theme—think eggs poached in spicy tomato-y sauce—with dishes priced under rmb100. 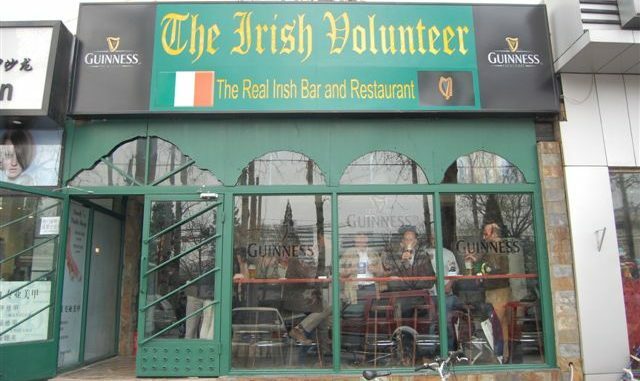 There will also be bottomless Mimosas and Bloody Pirates at rmb150 for about three hours. 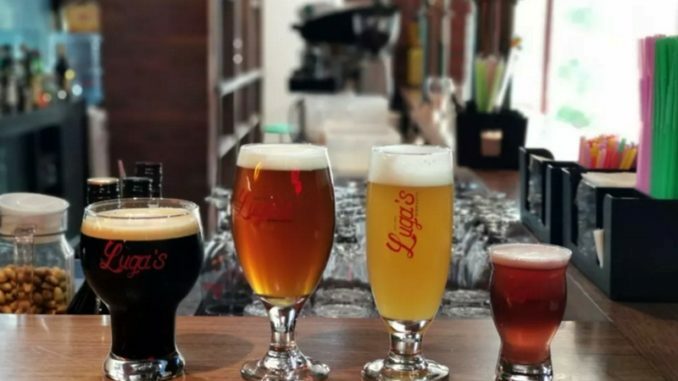 Brunch runs from 11:30 AM to 4:30 PM. 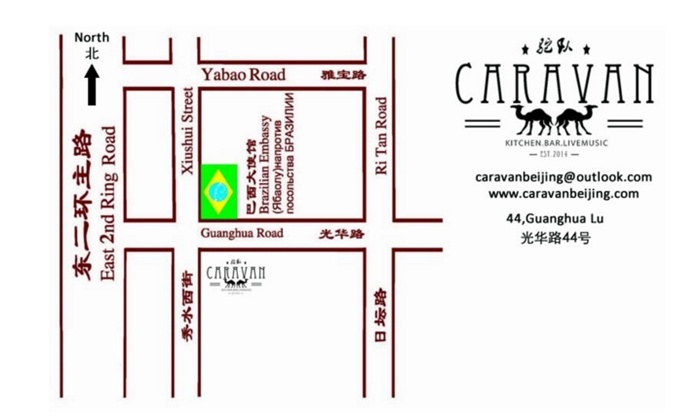 This is just one of the Caravan daily features, with others including Meatless Monday, Couscous Friday, and Social Sundays, when those checking their phones in at the bar get 50 percent off their food bill. Enjoy Easter with a view of the Great Wall. 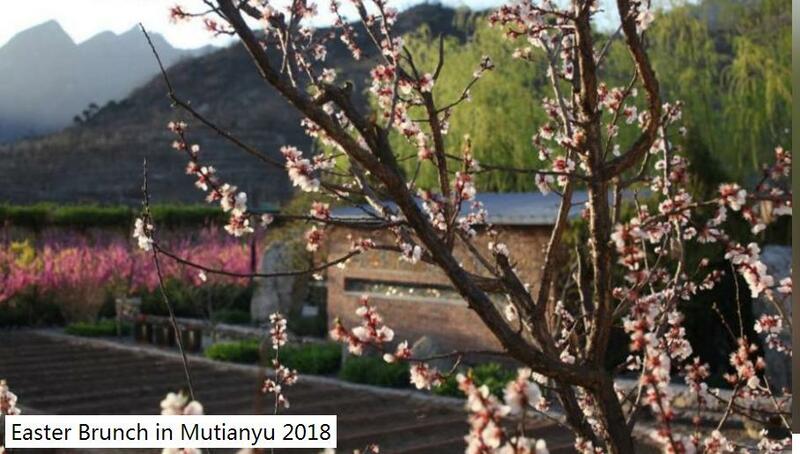 The Schoolhouse at Mutianyu will hold its 12th annual Easter brunch this Sunday, a feast with five cold dishes, including antipasto with smoked trout, duck breast, olives and more; roasted tomato and cream of mushroom soups; nine hot dishes, including ham, cassoulet and shao bing; desserts, breads and muffins; and self-service soda, beer, American coffee and tea. 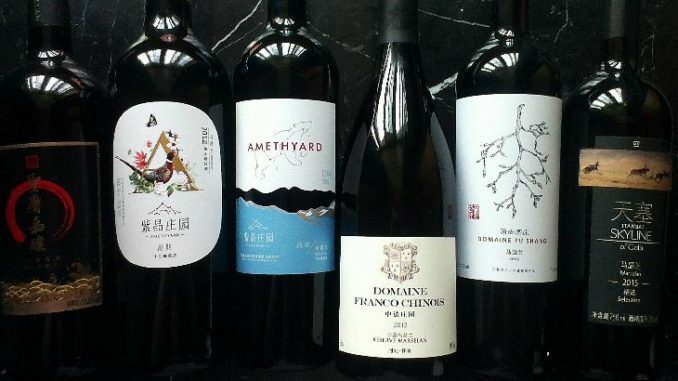 Brunch is 11 AM to 3 PM and costs rmb288 for adults and rmb148 for children aged 4 to 12. Children under 4 eat for free. There will be live jazz as well as Easter egg hunts and face panting at 11 AM and 2 AM. 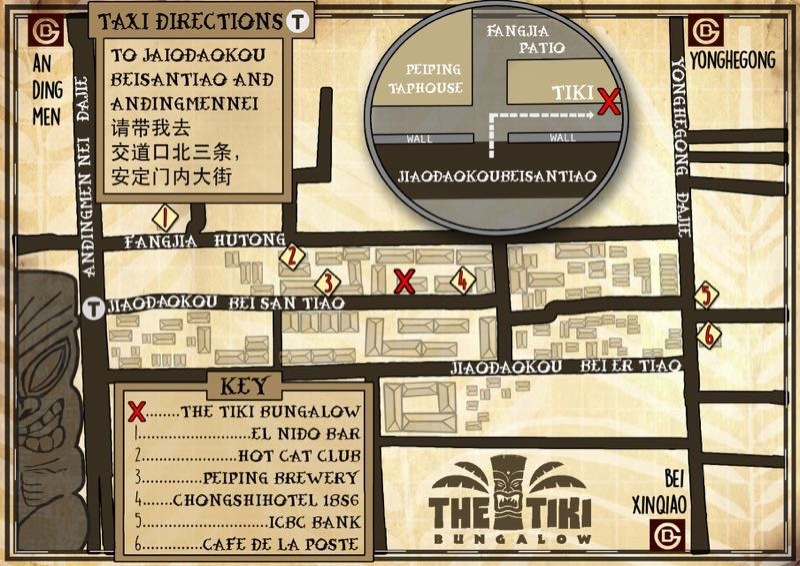 For the address, map and directions, see here.